"Dorothy Maxine Messer was born in Burbank, CA on May 2, 1928. She grew up in the town of Fillmore, the only child of Lloyd and Eva Messer. The Valedictorian of her high school class, she had a love of learning that lasted a lifetime. She married Winston Haase on November 28, 1948, and they welcomed their first child, Georgia Ann, the following year. The family grew again 7 years later, with the addition of Robert Scott. Dorothy was an active participant in the community of Fillmore, organizing the Fillmore Festival for many years and helping found the Historical Museum. She spent many hours volunteering as a Band Booster for the high school and helped establish the Neighborhood Watch in town. After spending her whole life in the same small town, Dorothy was ready for a new adventure. In 1996, she relocated to Ozark, MO, eager to experience life in a place with 4 seasons. She got involved in her new community by becoming a Master Gardener and a Red Hatter. She loved Jesus and used her gift of playing piano in worship until her last days. 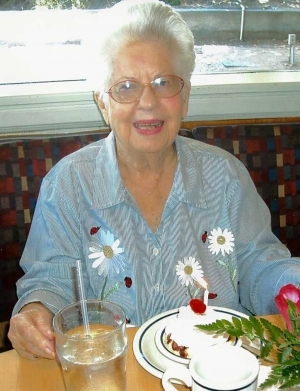 Dorothy fell ill on Easter morning, and passed away on April 17th. She touched many people through her daily posts of encouragement on Facebook and will be greatly missed by friends near and far. Family meant everything to her, and she spoke lovingly about them to anyone who would listen. She became a great-great-grandma in February and was very proud of her 5 generations. Dorothy was preceded in death by her husband, Winston, in 1983. She will be lovingly remembered by her daughter, Georgia Beck and Lee, of Ozark, MO; her son Robert Haase and Lela, of Mannford, OK; her grandchildren Nathan Thompson, Lisa Stenfort, Jacob Haase, and Naomi Flowers; her great-grandchildren Tara Higgins, Amanda Thompson, Lindsay Thompson, Samantha Fair, Matthew Stenfort, Winston Haase and Oliver Haase; and her great-great granddaughter Lily Fair. A graveside service will be held at the Bardsdale Cemetery, 1698 S. Sespe St, Fillmore, CA at 2:00 on April 20, 2018. A memorial service will be held at Fairview Baptist Church , 2144 State Hwy PP, Sparta, MO, at 2:00 pm on April 27, 2018. In lieu of flowers, memorial contributions may be made to Jesus was Homeless, 1440 State Highway 248, Suite Q-442, Branson, MO 65616 ; or please donate to your favorite charitable cause in Dorothy’s honor." Bruce Douglass Larson, 75, beloved husband, father, grandfather, brother, teacher, coach, and friend, of Fillmore passed away on March 26, 2018, of Adenocarcinoma at 7:57pm. His wife, children, and grandchildren surrounded him at home during his passing to be with the Lord and join his daughter, Marci, in Heaven. Bruce was born in Chicago, Illinois on July 20, 1942, three minutes before his identical twin brother Roger was born. He graduated from Chaffey High School in 1960 then received his AA from Chaffey College in 1962. He then transferred to California Polytechnic State University (Cal Poly) in Technical Arts and graduated in 1965. Bruce received his first teaching job in 1965 at Serrano Junior High and then Montclair Junior High. Bruce earned his Masters degree from L.A. State then moved to Fillmore where he began teaching high school drafting then switched to junior high woodshop which was a better fit. During the summer months Bruce worked a variety of jobs over the years including restaurant managing, drafting, surveying, civil engineer work, and a ranger at Lake Piru, to name a few. Bruce was an athlete and as a youth he regularly wrestled, rode his bike, and played basketball with his brothers and friends. He competed in football, basketball, and track at Chaffy High School then played football and threw shot put and discus on the track and field team at Chaffey College. While at Cal Poly he specialized in track and field. During his first year of teaching, Bruce, being frugal with his money, was persuaded by his twin brother Roger to go on a blind date with an NFL Rams song leader, Tessa Smith, to get free tickets into the NFL games. They quickly fell in love and married shortly thereafter on April 5, 1966. They raised three wonderful children Marci, Loni, and Eric and are blessed with nine grandchildren. 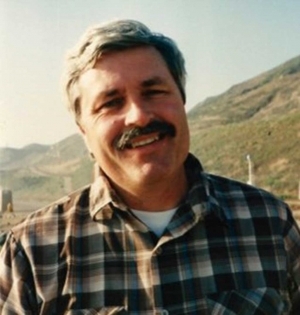 Bruce loved spending time with his family and grandchildren enjoying fishing and campfires at the beach, vacations in Yosemite, playing card games, frisbee golf, and watching the grandchildren play sports. 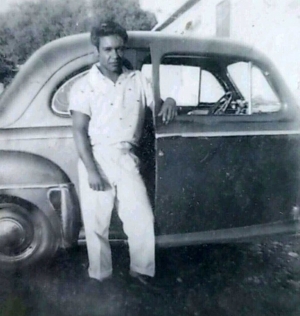 Bruce not only had a love for his family but also had a love for old cars, especially ‘32’s and ’57 Chevy’s, which he restored and enjoyed his whole life. These interests lead to the excitement in attending car shows, drag races, swap meets, and flea markets which was enjoyed with family and friends alike. Bruce also restored antique furniture, improved his home, watched sports, and collected old things such as model trains, license plates, and car parts. Most of all he simply just wanted to be around those he loved, to visit and joke with them. A celebration of life will take place on Friday, April 27, from 2-5pm at the Fillmore/Piru Veterans Memorial Building, 511 Second Street in Fillmore. All are welcome to attend. It is with our deepest sadness that Richard Hernandez went to be with our Lord Jesus Christ on January 21, 2018. Richard lived in Fillmore California until he moved to Mount Vernon , Missouri in 1987 where he remained for the past 30 years. Richard was employed by Silgan Containers in Mount Vernon , Missouri for 28 years. Richard is survived by father Manual Hernandez of Chino Valley, AZ and his sons Kevin (Tamiaya Hernandez) and Steven (Mandy Hernandez) and his beautiful grandchildren, Juliun, Isaac, Kyleigh, Kyah and Adrian, with two additional grandchildren on the way. Richard is proceeded in death by his mother Rosa F Hernandez of Oxnard , California. Virginia June Huestis completed her life’s journey in Oak Harbor, Washington, on March 7, 2018, at the age of 85. Virginia was born on September 5, 1932, in Los Angeles, the daughter of Calvin Trowbridge and the former Margaret Allen. She was adopted by her stepfather, Pharos LeBard, at an early age and lived with her parents and younger brother John in the Ventura County communities of Piru, Fillmore, and Ojai. She attended Buckhorn School in Piru and Fillmore schools, graduating with the Fillmore High Class of 1950. She began work as a teenager at Harry Lechler’s store in Piru. The exactitude she learned from high school business teacher Miss Hobenicht served her well in positions with schools, churches, financial institutions, and other employers. She also began volunteer service as a teenager, leading the area in collecting scrap metal for the war effort. In recognition of her service, she was invited to christen a ship. Virginia married Robert F. (“Bob”) Huestis of Fillmore, a veteran of that war, on October 11, 1951. They enjoyed 60 happy years together and raised three children. 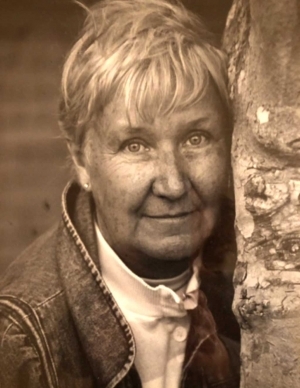 Dearly loved by her children and grandchildren, Virginia freely shared her time and treasure encouraging their interests, attending their many activities far and near, and making her home their favorite venue. Ever active in the community, Virginia and Bob built the Fillmore Jaycees agri-cultural display at the Ventura County Fair in the 1950s. 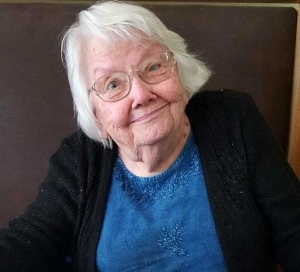 A long-time member of the First Presbyterian Church, she taught Sunday school, served meals to the bereaved, hosted many guests and events in their home, and served at countless wedding receptions. In 1970, Virginia and Bob left the comforts of home and joined New Tribes Mission (now Ethnos 360) of Sanford, Florida, which specializes in evangelizing unreached people groups. After preparatory training in Pennsylvania, West Virginia, and Missouri, they spent five years in Papua New Guinea, where Bob was in charge of purchasing and shipping for mission personnel located in remote areas of the country and Virginia maintained the books and operated a guest house for mission personnel in the coastal town of Wewak. Bob was diagnosed with a chronic form of leukemia and suffered a back injury while on furlough in 1978, resulting in their retirement from the mission. Virginia returned to the work force as a bookkeeper and later as a utilities clerk at Fillmore City Hall. They moved to Ventura in the late 1980s. She retired as a medical transcriptionist in the Pathology Department of Community Memorial Hospital in 2005. They moved to Fairview, Kansas, in 2007 to live near son Sam and his wife Linda, who had just established a home there. 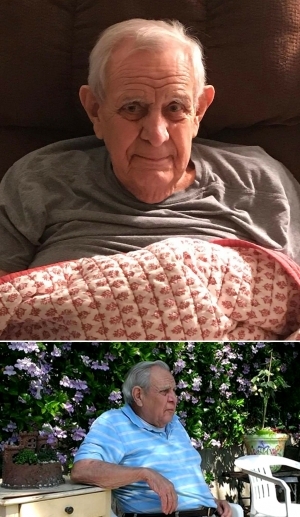 As Bob’s health declined, Virginia was at his side constantly until his death in 2012, when she moved to Oak Harbor, Washington, to live with daughter Alice and her husband Jim. She enjoyed many visits from family from around the country and looked forward to heavenly reunions as Parkinson’s disease took its toll on her body. Virginia will be missed by children Sam Huestis of Ventura and Fairview, Alice Mikos of Oak Harbor, and Margaret LaRue of Ventura; grand¬children Nathan Huestis, Ryan Huestis, Kimberlee Mikos, Matthew Mikos, Christina Mikos Anderson, Aimee LaRue Sywulka, Rachel LaRue Culver, and Bobby LaRue; and nine great grandchildren. She was preceded in death by her firstborn, Robert Mitchell Huestis, and husband Bob. Interment will be at the Leavenworth National Cemetery. The family requests that Virginia be remembered by gifts, acts of kindness, or service to someone in need in lieu of flowers. 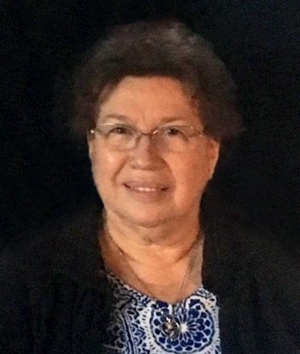 It is with great pain and sadness that we announce the loss of our beloved mother Rosa Maria Camberos de Cobian who went home to be with our lord with her family by her side. She was born December 7th, 1943 in Tuxcacuesco, Jalisco Mexico. And passed peacefully at her home in Fillmore, Ca. on the day of March 9th, 2018. She was preceded in death by her parents Arturo Camberos and Josefina Pizano, and 1 sister & 3 brothers. Rosa is survived by her husband of 50 years Jose Q. Cobian, daughter Maria R. Estrada (Michael), sons Jose J. Cobian (Martha) and Arturo Cobian. Rosa had 5 beautiful grandchildren, Michael Joseph Estrada Jr., Vanessa Nicole Estrada, Johnny JR. Cobian, Yanelli Marie Cobian, and Natalie Rose Cobian. Also survived by 5 sisters and 7 brothers. And numerous nieces and nephews and loving family and friends. Rosa worked for Olga factory as a seamstress for 16 years. She also worked a few years at Cloughs pharmacy on Central in Fillmore, Ca. She also provided child care and grew very close and came to love the many children that dearly call her "grandma". Rosa was very social and because of her kind heart and outgoing personality had many dear friends that never forgot her in her time of need. She very much enjoyed social events, especially when listening to mariachi, and singing and dancing, as well as having a margarita. Her greatest joy was watching her children and grandchildren accomplishes. She always loved having her family around, if it wasn't cooking for them or barbecuing, it was going on vacations with them. The family would like to thank Dr. Alexander Meyer and staff as well as the staff at CMH, Quest Diagnostics in Santa Paula, Assisted Home Hospice, Rolling Oaks Radiology, Dr. Byung Lee, and St. Francis of Assisi clergy. We would like to thank her family, friends, and neighbors of 40 years on Lora Lane for their love and support throughout her beautiful life. The recitation of the rosary will be held on Friday March 23, 2018 at 9:30am followed with a Mass of Christian Burial at 10:00am at St. Francis of Assisi Catholic Church 1048 W. Ventura Street in Fillmore Ca. Burial to follow at Bardsdale Cemetery 1698 So. Sespe Street in Fillmore, Ca. 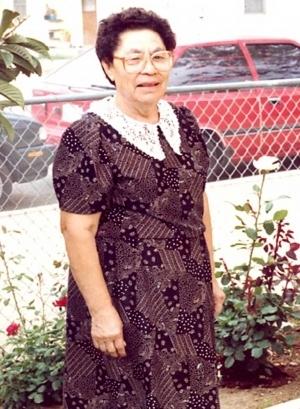 At www.santapaulafuneralhome.com and click on Rosa’s name located below “Recent Obituaries”. 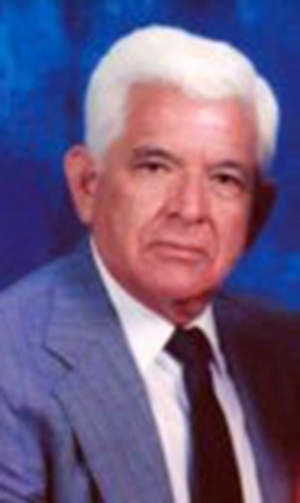 Jose "Joe" Tello, age 90, of Fillmore, California passed away on Thursday March 8, 2018. Jose was born October 21, 1927 in Texas. Jose worked for High Rise Construction for 25 years and enjoyed camping, gardening, RV'ing and exploring the United States. Jose is survived by; his beautiful wife of 64 years Irene Tello, sons Donald Lee Tello (Natalie), Michael Tello (Diane), daughter Cynthia Tello Enriquez (Felipe Enriquez), son David Tello (Ofelia), 11 Grandchildren and 4 Great Grandchildren. Jose is preceded in death by; his parents Juan and Irene Tello, Brothers Juan and Mauro, Sister Eva, Grandchildren Katie and Andrea Tello and Daughter-in-law Diane Tello. A visitation for Jose will be held Wednesday, March 14, 2018 from 4:30 PM to 8:00 PM with Rosary at 6:00 PM at Skillin-Carroll Mortuary, 600 Central Ave, Fillmore, CA 93015. A funeral mass will occur Thursday, March 15, 2018 from 10:00 AM to 11:00 AM at St. Francis of Assisi, 1048 Ventura St., Fillmore, CA 93015. A graveside service will occur Thursday, March 15, 2018 from 11:15 AM to 12:15 PM at Bardsdale Cemetery, 1698 S. Sespe St., Fillmore, CA 93015. A burial will occur at Bardsdale Cemetery, 1698 S. Sespe Street, Fillmore, California 93015. Fond memories and expressions of sympathy may be shared at www.skillincarrollFil.com for the Tello family. 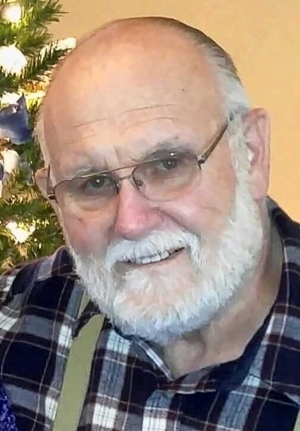 Dale Sherman Palmer, 85, went to be with the Lord peacefully at his home in Bardsdale, on Friday, March 9, 2018 embraced by his children. Dale was born on Oct. 21, 1932 in Oxnard, Ca. to Graham B. and Beulah Moehl Palmer, and raised on the family farm in Bardsdale. He ran track and played football for Fillmore High. He continued his education studying agriculture and running track at Cal Poly Pomona. In 1952, Dale married his high school sweetheart, Mary Ann Gathright. With time and love, they welcomed 3 children, Janet, Susan, and Donald. He continued to work and tend the family farm and was the manager of Fillmore Irrigation Company for 32 years. 42 years of his life were spent wearing out 3 tractor loaders cleaning up floods, moving dirt, and clearing citrus groves. Dale’s work was a representation of who he was and he loved what he did. In addition to working, he enjoyed golfing, bowling, tennis, camping, water skiing, fishing and later the luxury of cruising the world; as long as he was surrounded by the ones he loved, he did it all. 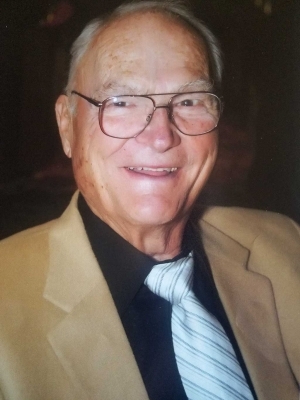 He was an active and dedicated life member of the Fillmore Lions Club and involved with Fillmore Little League for over 40 years, coaching or umpiring. Dale was preceded in death by his parents, wife Mary Ann, son-in-law John Foy, and brother Roger Palmer. He is survived by his sister-in-law Roberta Palmer, children Janet Foy, Susan & Keith McLain and Donald & Susan Palmer, grandchildren Jason & Carrie Foy, Jodie & Patrick Sewell, Vanessa & Jason Palmer, Tim & Jenn McLain, Daniel & Alex Davis, Daniel Palmer, Michelle Davis and Greg Palmer, along with 13 great grandchildren. There will be a Celebration of Life Saturday, March 17th, 2 pm at Faith Community Church, 355 D St., Fillmore. Followed by a reception barbeque at Elkins Ranch golf course at 3:15. Burial is Friday the 16th, 2pm at Bardsdale Cemetery. In lieu of flowers please make donations in Dale’s name to Fillmore Lions Club. PO Box 632 Fillmore, CA 93016. Of all the things to say about Dale Palmer, we’ll never know if his work was truly work or play, but to his last days on this earth, he was out there on that tractor, doing what he loved. For map and directions to ceremony locations and to sign the family’s online guestbook, share stories and post pictures please visit our website: www.santapaulafuneralhome.com and click on Dale’s name located below “Recent Obituaries”. Mom was born in Fillmore on May 23, 1922. She was born to William Crowner and Pearl Oliver Crowner. She lived in Fillmore until the second grade, when the family moved to Ojai for 4 years. They returned to live in Bardsdale where she attended Bardsdale Elementary School. Mom graduated from Fillmore High School in 1940. She then attended Ventura College where she received a teaching credential. Mom married her high school sweetheart Carl Myers in 1942. Carl enlisted in the Army Air corps shortly thereafter where he became a B-24 pilot. Mom followed him in the service until he was deployed to England. She then returned to Bardsdale where their daughter Terri Ann was born in 1944. 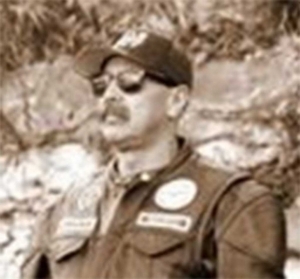 When Carl returned home from overseas they remained in Fillmore, where he became a partner in the oilfield and ranch supply company of Crowner and Myers. In 1956 their son Jim was born. Peggy was a stay at home mom until 1964 when she went to work as a teacher’s aide and substitute teacher for the Fillmore School District. Later she became a teacher at the Boswell School for Developmentally Disabled Children. Later Carl became a Real Estate Agent in Fillmore. Peggy was an active member in the Fillmore Order of Eastern Star, Fillmore Ebell Club, and of the Fillmore Church of Religious Science. She always saw the good in each person and in every situation. Many times mom would say it is all good. Mom loved to play bridge, a good shopping trip, and any opportunity to go out to eat. Most of all she loved her family, her children, grandchildren, her great grandchildren and many nieces and nephews. She also loved her caregiver Aracely who gave her wonderful loving care for over 12 years. After retirement mom and dad were able to travel extensively and had a wonderful time doing it. Mom passed away peacefully at home with her family nearby on February 21, 2018. Mom was preceded in death by her parents, her husband Carl, her granddaughter DeAnna and son in law Mike. Mom is survived by her daughter Terri Hastings, her son Jim Myers (wife Janet), Grandchildren Derrik Hastings (wife Michelle), Melanie Myers Hazlett (husband Chad) and Great grandchildren Joslynn, Charlie, Jordan, Griffin and Felicia. Mom will be greatly missed here on earth but we will be happy to see her again in the hereafter. A memorial will be held at the Bardsdale Cemetery on Friday, March 9 at 1:00 PM. In lieu of flowers please donate to your favorite charity. It is with great sadness that we announce the passing of our beloved daughter, sister, mother and grandmother, Cynthia (Cindy) Sue Stocker Wileman. Cindy passed away on February 25, 2018 with her loving family at her side. Cindy was born on Easter, March 28, 1948 in Santa Paula to William and Patricia Stocker of Fillmore. She spent a great deal of time with her sister, Melinda at the family owned Stocker’s Department Store and later at the popular teenage hangout, Tip Top Drive-In, where her father put her to work. 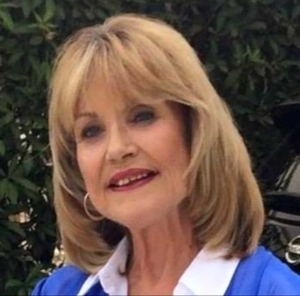 Exceptionally beautiful and vibrant, she was a song leader at Fillmore high school where she graduated with the class of 1966. She was honored to be named Miss Fillmore and Miss Ventura County Fair. During her reign, she cut the ribbon to open the newly built Highway 126 and took the inaugural drive with the mayor of Santa Paula and other dignitaries. She married her childhood sweetheart, Ross Wileman, in 1967 and together they raised three children, Lori, Melanie and Ryan. As a homemaker, she liked cooking and sewing for her family. She was a devoted mother spending countless hours volunteering in her children’s classrooms, driving on field trips and helping her daughter Lori’s cheerleading squad raise money by painting house numbers on curbs. 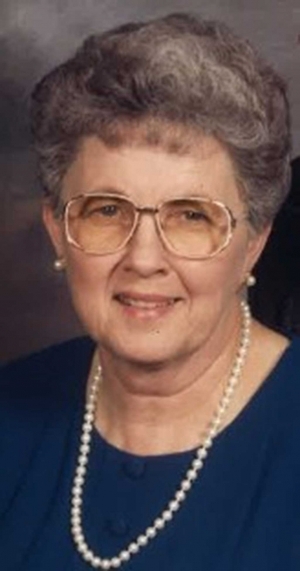 She treasured family vacations at cabins on Faria Beach and waterskiing on numerous lakes, including Lake Powell. Each fall, Fillmore families enjoyed purchasing pumpkins the family grew on local land and sold from their front yard on Highway 126. Later, Cindy worked for Mirage Clothing where she paired her sense of style with her love for people. She proudly ran Wileman’s Produce and later Cindy’s Produce. She also worked for Fillmore & Western Railway Company. Years passed and Cindy met Jess Leon. They spent 29 years together, during which they raised Jess’s 3 granddaughters; A highlight of raising the girls was cheering them on at their softball games at local and state levels. The Santa Ynez Valley was one of their favorite places where they took countless trips to the Chumash Casino. Cindy always had a green thumb and at their home on Blaine Avenue, she took pleasure in working in their yard with the help of her son Ryan. Cindy had a big heart for children and adults alike. She spent many hours involved in her grandchildren’s lives and took pride in all their accomplishments. She could always be counted on to attend their sporting events and delighted in having them over for frequent sleepovers. After the passing of her daughter, Melanie’s children would often go to her home after school to receive love, comfort, encouragement and lessons in responsibility. Cindy loved catching up with high school friends for lunch and at the annual Fillmore Alumni Banquet. Her many Facebook friends were greeted each day by her cheerful good morning posts and were encouraged by her courageous and positive attitude, despite her many health challenges. Cindy was preceded in death by her grandparents, Samuel and Helen Stocker, Floyd and Doris Spangler and her daughter Melanie Wileman. She is survived by her parents William and Patricia Stocker; daughter Lori Bennett (Donny), son Ryan Wileman (Angelo); grandchildren Alyssa and Tim Bennett, Frank and Keanna Lozano, Carmen, Cody, Mathew and Kailyn Pineda, Brianna Wileman, Elena, Elisha and Enessa Lopez and great- granddaughter Riley Lozano; sister Melinda Naas (Chuck); nephew Jeff Naas (Kelly), nieces Lisa Given (Jessica) and Laura Counts (Chad), and numerous great nieces, nephews and step children. Thank you for all your kindness, love, and prayers for Cindy and her family. Visitation will be held at Skillin-Carroll Mortuary, 600 N. Central Ave., Fillmore on Wednesday, March 7 from 4:00-8:00 P.M. Graveside service will take place at Bardsdale Cemetery, Fillmore on Thursday, March 8 at 11:00 A.M. Contributions in Cindy’s name may be made to the Fillmore Alumni Association. Roger Winkler Palmer (D.A.D.) died peacefully at home in Bardsdale, California at the age of 81 on Monday, February 5, 2018. He was born January 31, 1937 in Oxnard, CA and grew up in Bardsdale, CA. A graduate of Fillmore High School in 1955, he earned his BA from Pomona College in 1959 and a teaching credential from U.C. Berkley in 1960. While teaching high school in Lodi, CA he met Roberta Hirschler whom he proposed to a short 2 months later, marrying on August 22, 1964. The newlyweds then settled in Bardsdale, CA where Roger accepted a position at Fillmore High School in 1965 and eventually taught there for 30 years. Roger would explain that he taught every subject except language, music or art. During this time, he earned an MS in Education from the University of Southern California in 1971 by designing and implementing a work experience education program for Fillmore Unified School District, while also serving as district coordinator for the California Association of Work Experience Educators for 25 years. Roger also coached and officiated multiple sports and, in his spare time, he was a citrus farmer and also served as U.S. Army Reserves captain, not to mention being a dedicated husband and father of four. An involved and caring family man, he and Roberta purchased, settled into and raised their family in the beautiful home with sweeping views overlooking citrus groves and the Santa Clara River Valley. The couple enjoyed camping and fishing with their four children, and eventual grandchildren, in the legendary “Condor” motorhome. Roberta, the children and the Condor survived three trips with D.A.D. across the country and frequented the lakeside campground at Gull Lake in the Eastern Sierras. Roger and Roberta enjoyed international travel, particularly to Europe including visits with their German exchange son, Andreas Rohleder and family. Later in life, Roger did his best to attend swim meets, tennis matches, recitals, hockey games and equestrian events to watch his grandchildren who always loved his encouragement and presence. Roger often stated that he was here because of the Bardsdale Methodist Church - which is true. His grandfather, Dr. Edwin Palmer, served as pastor of the church from 1925 – 1930 and raised his father, Graham, who eventually married Beulah Moehl Palmer. Graham and Beulah raised Roger and older brother Dale in the little house across the street from the church, surrounded by family citrus orchards and a supportive community. Roger is survived by his wife, Roberta Hirschler Palmer; daughter Elizabeth Palmer Doolittle and granddaughters Erin and Sarah Doolittle of Redlands, CA; Rosalynn Palmer Scheck and her husband Joe Scheck, grandchildren Katy, Tori Jo and Henry Scheck of Camarillo, CA; Daughter Rebecca Palmer of Thousand Oaks, CA; son Dr. Stephen Palmer and his wife Jennie Kowalski Palmer and grandsons Evan, Scott and Troy Palmer; and brother, Dale Palmer of Bardsdale, CA. He is preceded in death by his father and mother, Graham and Beulah Palmer of Bardsdale, CA; brother-in-law Phillip Hirschler of Fairfield Iowa; and sister-in-law Mary Ann Gathright Palmer of Bardsdale, CA. It is with great sadness that we announce the passing of Marjorie (Marge) Ruth Aguirre on February 5, 2018. Marge was born July 20, 1928 in Follett, Texas. She was raised on the family farm by her older siblings. These were hard times in the heart of the dustbowl and she told many stories about how her family struggled against low income and the ever-present dust storms. She moved to Denver, Colorado in 1950 where she met George Aguirre. They married, moved to Santa Paula in 1953 then onto Fillmore in 1962 living in the same house on Walker Lane where they raised ten children. Of her many passions and pursuits, she will be remembered for her extraordinary gift of creating beautiful quilts and her wonderful rose garden. She gained recognition for her for her patchwork needle art when she entered her “windmill” quilt in Good Housekeeping’s Great American Quilt Contest in 1978. Her work was selected as the best for the state of California and was shown along with the other state winners to the rest of the nation on a three year tour conducted by the Smithsonian Institute. Through the following years she taught quilting classes, helped repair others’ work and created a quilt for each one of her children. Her passion later in life was her rose garden which featured over 500 types of roses and covered every available foot in her yard. She donated many hours at Otto’s Nursery for many years where Marge’s Garden attracted many rose lovers. She loved her work and both gardens were a source of fulfilment for her. Marge was preceded in death by her parents, May Catherine and Frank and by her husband George. She is survived by her ten children, Mark (San Diego), Matt (Fillmore), Tim (Kingman, Az), Chris (Tuttletown), Angela (Vista), Kimberly (Visalia), Michele (Long Beach), Andrew (Fillmore), Phillip (Portland, Ore), Elizabeth (Fillmore) and several grandchildren and great-grandchildren. Mom will be missed by her family and the community. A memorial is being planned. My best friend and dear husband, Harold, died January 25, 2018. He fought a 14 year battle with cancer. He was born March 7, 1935, to parents Leo and Rachel Standridge Council in Rolff, OK. His parents moved to Fillmore, CA in 1947. He attended schools in Stratford, OK and Fillmore. His parents, a baby daughter, Cathy Lynn, and both brothers, Joe and Glen and Glen’s wife Priscilla, preceded him in death. He was never afraid of hard work. He drove his own dump truck, bought a gas station in Fillmore on what is now highway 126, and worked in the oil fields on Torrey Mountain and on the oil platforms off the coast near Ventura and Santa Barbara. In 1960 he went to work for the State of California doing soil sampling for the freeways that were being built. This took him all over the state so he moved his family to Sacramento and moved back to Fillmore in 1964. After retiring from the State of California he started his own company drilling water wells. He and his family enjoyed camping and boating with friends and family. He also enjoyed his motorcycles and salt and fresh water fishing. They raised their kids in the countryside near Piru, also raising animals and having pool parties for friends and family. He purchased more land next door and raised 5 acres of oranges. After retiring in the 1990s he remarried. He and his present wife, Jean, enjoyed traveling to Canada. Alaska, Mexico, the Caribbean, the East coast from Quebec to the tip of Florida, as well as Australia, China and some European countries as well as cruising and river cruising. In between they found lighthouses to visit and climb. Nothing fazed this man as he would buy land or houses, machinery or some other piece of equipment where ever he was. If need be he’d even drive it home. He leaves behind his wife Jean, daughter Lynda (James) Frerichs, Michael (Barbara) and Richard as well as stepchildren Bob (Cindy) Peak, Greg (Mona) Peak, Julie (Stuart) Wright and Charlie Peak and Chuck, his partner. He has 3 grandchildren, Steven Council, Nathan (Charlene) Frerichs and Shawnie Frerichs and 9 great grandchildren and 1 great, great granddaughter, so far, as well as step grandchildren and great grandchildren. It goes without saying he has left some of world’s the best friends behind. You are too numerous to name but each and every one of you know who you are. This gentle man may just be the last of the “water witchers!” We all WILL MISS him so much! A gathering to celebrate his life will be held on March 3rd from 12 noon to 3p.m. at the Poinsettia Pavilion, at 3451 Foothill Road, Ventura, CA, 93003 (805-648-1143). It is with a heavy heart that we announce the passing of Angel Raymond Ortega on January 22nd 2018 in Thousand Oaks, California. Angel was given life on October 2, 1924 in Piru, California and was called home to Our Lord at the age of 93. Born to Ignacio Ortega and Amanda Abalos Ortega he was the fourth of ten children. Angel is survived by Son Michael Ortega, Son Mark Ortega, Daughter Lisa Ortega Tovar (husband Robert Tovar), Daughter in law Terri Ramirez Ortega, Sister Connie Ruiz, Sister Delfina Ortega, Sister Catherine Cervantes, Brother Henry Ortega, Grandchildren Camaille Ortega Torres (husband Andrew Torres), Tara Ortega, Sarah Tovar Burton (husband Mathew Burton), Rachel Tovar, Olivia Tovar, Kathryn Tovar, Eve Tovar, Luke Tovar, Mary-Grace Tovar and Isabella Tovar. Great grandchildren Mia Torres, Dallas Torres, Miles Torres, Joaquin Torres, Saul Tovar, Asher Burton, and Aria Burton. He enjoyed countless nieces and nephews. Angel married Lucille Savala Ortega and had five children, Robert, Richard, Michael, Mark, and Lisa that they raised in the Piru/Fillmore area. Angel enlisted in the US Army in 1942. He was a Corporal in the 75th infantry that saw action at “The Battle of the Bulge” in Belgium during WWII. He was a founding member of Friday night tri-tip BBQ at Fillmore High School football games. He enjoyed hunting, fishing, trap shooting, Dodger baseball games, Fillmore High sports and morning coffee with friends. Angel was chosen as the Homecoming Grand Marshall in 1977 which has been awarded to two of his sons as well. His time was always available for building dunk tanks, driving floats, or whatever was needed. His 4th of July and Christmas celebrations were legendary. His house always had an open door policy. Friends and family enjoyed good company, good food, and drink. An atmosphere of family and belonging to all who entered his door which made him the cornerstone of the neighborhood. Angel Ortega loved to laugh. He also loved to make people laugh. Whether it was a stranger or an old friend, he always had a joke, story, or a wisecrack at the ready. Angel worked as a butcher at Lechler’s store in Piru. He then moved on to Fillmore/Piru Unified School District where he was a groundskeeper/bus driver at Piru and Fillmore schools. After retirement from the school district he worked for Patterson’s Hardware for twenty years. Angel is preceded in death by his Parents Ignacio Ortega and Amanda Abalos Ortega, Wife Lucille Ortega, Son Robert Ortega, Son Richard Ortega, Sister Mary Rangel, Sister Ramona Golson, Sister Jenny Ruiz, Brother Victor Ortega, and Brother Joe (Guero) Ortega. Mass will be said for Angel Ortega on Saturday February 3rd at 9:00 A.M. in Fillmore at St. Francis of Assisi Catholic Church. Reception immediately following in the church hall. Gloria Perez Cervantez, 75 of Fillmore passed away on Thursday, January 18, 2018 surrounded by her family. Gloria was born on October 5, 1942 in Santa Paula, CA to Francisco Perez. She was well known for her love of music and her angelic voice. She loved to read, crochet and enjoyed fishing. She spent her last working years at Ameron Pole Products. Gloria is survived by her loving husband of 35 years Tory Cervantez, her beloved daughter Donna, Son-in-law Scott, son’s Joseph and Lenny and her 6 grandchildren Rebekah, Hannah, Judah, Tegan, Alexa and Jolene. The family would like to express their gratitude to Greenfield Care Center of Fillmore, especially to Christina, Matthias and Ana for the wonderful care they gave her and the love and support they showed us while Gloria was a resident there. Mass will be held on Tuesday, January 30, 2018 at 9:15 am at Saint Francis of Assisi Catholic Church in Fillmore. Arrangements are under the care of Joseph P. Reardon Funeral Home. Pops was born in Piru on March 15, 1922 and was a lifelong resident. He is survived by his three children, Carol Conaway (Paul) ,Kenneth Preciado (Pam), Leonard Preciado Jr.(Nani). He also leaves thirteen grandchildren, twenty-three great-grandchildren, and two great-great grandchildren. He is preceded in death by spouse Jennie, son Steven, two brothers and two sisters. Leonard served in the USN during WWII. He was a Pearl Harbor survivor aboard the USS Medusa. He later was assigned to European front in the North Atlantic. He was proud of his service even though it left him with unseen scars. Leonard’s favorite pastimes were fishing, hunting & camping in the Eastern Sierras & Utah. He loved his Beagles, his doves (especially Annabelle), feeding the wild birds and his garden; looking forward to baseball season every year & his favorite Angels. He had many stories to share with his family that kept all of us laughing. Proud of his heritage, he had his DNA done at age 93. He said he wanted to know how much Native American he was. A Graveside Service will be held on Saturday, January 27th at 11:00am, at Piru Cemetery. Arrangements are under the direction of Skillin-Carroll Mortuary-Fillmore. 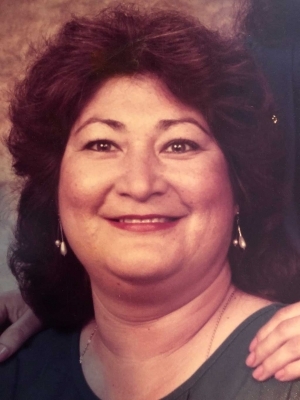 Dionicia Reyes, 94 passed away on January 17, 2018 in Fillmore, CA. She was born April 20, 1923 in Las Varas State of Chihuahua Mexico. She was a resident of Ventura County for 46 yrs. She was a beloved homemaker to her family and loved working in her garden. She was preceded in death by her husband Jesus Reyes Sr., daughter Maria Reyes, son Pedro Reyes. She is survived by her remaining children Jesus Reyes Jr., Jose Reyes, Pablo Reyes, Antonio Reyes, Rita Reyes, numerous grandchildren and great-grandchildren. Visitation will be held at Skillin-Carroll Mortuary 600 N. Central Ave., Fillmore on Sunday, January 28, 2018 from 5:00pm to 9:00pm with recitation of the rosary to be held at 7:00pm. Funeral Mass will be held at St. Francis of Assisi Catholic Church 1048 W. Ventura St., Fillmore on Mondaym January 29, 2018 at 10:00am with burial following at Bardsdale Cemetery, 698 S. Sespe St., Fillmore, CA. John Charles Foy, 63, passed away unexpectedly after a very brief illness on Dec 29, 2017. He was a beloved member of every community he joined. Born in Los Angeles, but raised the small town of Fillmore, CA, he touched the hearts of every person he came in contact with, whether it was a child at a local elementary school or the cashier at his favorite hardware store. In his short 63 years he managed to do more than your average man. 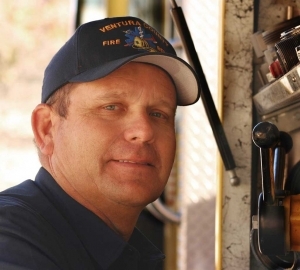 He was a career firefighter, retired from Ventura County Fire Department after 24 years, and was a 19-year veteran of Fillmore Fire Department prior to that. His love for helping others didn’t start or stop with firefighting. 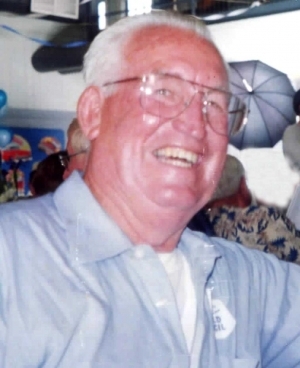 His nickname, Clownie, came from the many years he was “Spanner the Clown” and provided Life and Fire Safety (LAFS) assemblies to local elementary schools throughout Ventura County. He was everyone’s favorite enemy at local high school sporting events, as he would don the striped shirt for Gold Coast Officials to referee football, basketball, and baseball. In his early adult years he was a Boy Scoutmaster for Fillmore Troop 406. Since the early 90’s he was the president of the Sespe Players, Fillmore’s community theatre group, building sets and acting with best of them. One Christmas his son purchased him a single flight lesson and that sparked his love for flying, where he eventually became a member of the Civil Air Patrol, Squadron 61. After retirement he moved to Mammoth Lakes, CA and became a Mammoth Mt Ski Resort “Host,” with his bright yellow jacket making sure everyone was safe and having a great time. His love for everything outdoors was shared with his amazing wife, Janet, and his children, Jason and Jodie. They spent numerous family vacations water skiing, snow skiing, SCUBA diving and hiking the backcountry. If it was an outdoor activity, they tried it. Jack-of-all-trades, master of ALL, John was able to fix anything. He restored a 1965 Mustang, helped restore a 1926 America La France fire engine for Fillmore City Fire Department. Built 2 homes with his bare hands, including his current residence in Mammoth Lakes. He was well know for not completing the little things, and always had Janet at his side completing the finishing touches and picking up his mess along the way. John will be remembered for his contagious smile, corny “dad” jokes, and his love for his friends and family. He was survived by his wife Janet (43 years) his son Jason and wife Carrie, daughter Jodie and husband Patrick, his beautiful grandkids, Makayla, Sophie, Milani, Jaron, and Diego, and his brother Harold and wife Frances. He was also survived by an amazing extended family full of sister and brother-in-laws, cousins, aunts, uncles, nieces and nephews. Proceeded in death by his amazing parents Harold and Jeanette Foy, also of Fillmore. Celebration of Life, with stories and laughter, will take place at Fillmore Veteran’s Memorial Building, 511 2nd St., Fillmore, CA 93015, on Jan 20th at 2 pm. Please wear your favorite piece of clothing that represents your connection with John. Go explore the heavens, our friend…. Although, if God has a “to-do” list you probably have that in hand and are loading up your tool box to get it done, or at least get it started. For map and directions to ceremony locations and to sign the family's online guestbook, share stories and post pictures please visit our website: www.santapaulafuneralhome.com and click on John's name located below "Recent Obituaries". John R. Hardison peacefully went to Heaven on January 6, 2018 after a short illness. He was born September 22, 1942 in Ventura, California, to Jacque and Richard Hardison. As a young person, he enjoyed hiking and hunting on his folks and grandparents ranches. He grew up in Fillmore, CA, graduated from Fillmore High School in 1960, and went to Whitworth College in Spokane, Washington because he wanted to learn to ski. When he earned his degree in education, he and his first wife Angela moved to Yakima. He taught at Wilson J. H. until it changed to a middle school. Then he went to Eisenhower H.S. where he finished his 30 years of teaching. John loved to ride, hunt, travel, ski and build fence. He remarried in 1975 to Ruth Friebus. Together they built our home in West Valley: lots of fencing, irrigating, and lawn mowing. He loved working and playing in the outdoors. Sadly, he lost his only son, Greg, in 1977. It was a hard blow to the fabric of his life. He became a strong leader in Redeemer Lutheran Church, serving as secretary and president over the years. He enjoyed the process of planning and building the new church in West Valley. He loved to talk to people about his faith. As president, he wrote monthly articles to the congregation to keep folks on board with what was going on. The articles slowly morphed into proclamations of faith. Northwest Publishing House printed three of his books: “Under God’s Sky”, “A View From the Mountains”; and “Put Baby Jesus in Your Wagon”. John fought the battle to live until his lungs and heart could not work without extra ordinary help. It became quite difficult just to breath. He slipped quietly from life on earth to life in heaven with the help of modern medicine. He is survived by his wife Ruth, brother David (Julie) of Colville, WA, sister Marion Holladay of Fillmore, CA, numerous nieces, nephews, great nieces and great nephews. He was preceded in death by his parents and son Greg. His body will be interred at West Hills Memorial Park. A memorial service will be held at Redeemer Lutheran Church, 10203 Tieton Drive at 11:00am on Friday, January 12, 2018. To share a personal memory or condolence of John, please visit www.keithandkeith.com. Paul V. Ramirez Jr. was born on July 1, 1935 in Rancho Sespe to Paul Sr. and Lupe Ramirez and passed away on December 26, 2017 in Bakersfield, Ca. Paul attended school at Rancho Sespe and worked for Rockdyne-Boeing as a Maintenance Electrician for 40 years until his retirement. Paul married his wife Rosalee Tripp in 1955 where they had 3 children Kathy, Melissa and Patrick Ramirez. Paul had a passion restoring old Muscle cars especially G.T.O.S. and attending air shows and gun shows and collecting guns. Paul is survived by his 3 children Kathy (Fernando) Vasquez, Melissa (George) Cruz and Patrick Ramirez. 9 grandchildren 12 great grandchildren and his 7 siblings. He is preceded in death by his parents, wife, brothers Raul, Raymond and sisters Esther and Carmen. The recitation of the rosary will be held on Friday, January 12, 2018 at 9:30am followed with a Mass of Christian Burial at 10:00am. at St. Francis Of Assisi Catholic Church 1048 W. Ventura Street in Fillmore, Ca. Burial to follow at Bardsdale Cemetery 1698 S. Sespe Street, in Fillmore, Ca. For map and directions to ceremony locations and to sign the family’s online guestbook, share stories and post pictures please visit our website: www.santapaulafuneralhome.com and click on Paul’s name located below “Recent Obituaries”.